After years of loyal use of CCleaner, I decided that it was time to purchase the pro version and realising on instal that it came with the bundle of other apps set about defragging my C drive. I started the programme running at 7pm yesterday [it is currently 9am the following day] and it is reporting only 5% complete with >1day left to complete. 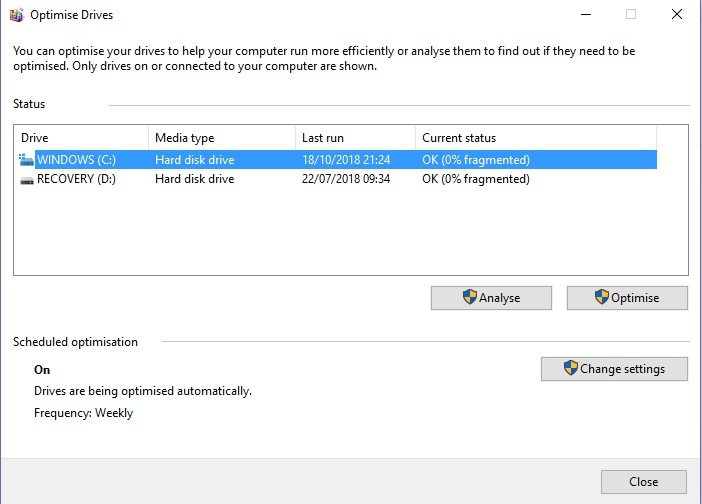 This is very odd as the Win 10 packaged defrag app says that my C drive is 0% fragmented and the drive is optimised weekly. Please can someone enlighten me. I have attached screenshots of both apps. in DF, go to Settings > Options > Advanced and check Stop VSS is ticked. then click the Define button and check both Excludes are ticked. 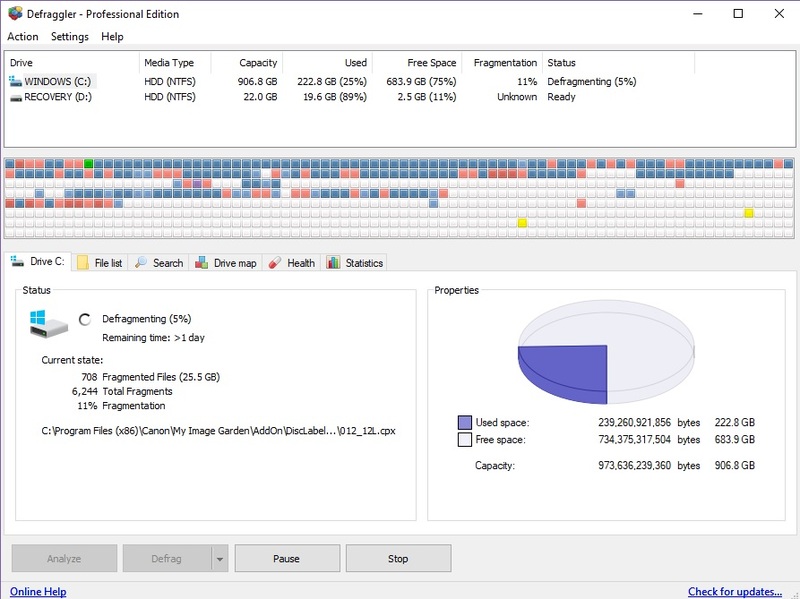 also, comparing two defrag programs will always show up differences as their algorithms for determining what is and isn't necessary to defrag is different. for example, I think the MS one would not look at Restore Points and you may have many GB's of those that DF may look for. or the pagefile or hibernation file.... and the list goes on. always good to cleanup the PC before doing a defrag so only system and personal file are touched, not temp, volatile or junk ones. Hi There and thanks for the response.